Can re-opening of the Babri Masjid criminal case harm LK Advani's presidential prospects? The Supreme Court's move to reserve its verdict on the Babri Masjid demolition case and transfer the criminal trial to Lucknow, has opened a can of worms for the BJP. It is especially important for party veterans LK Advani, Murli Manohar Joshi and Union Minister Uma Bharti. 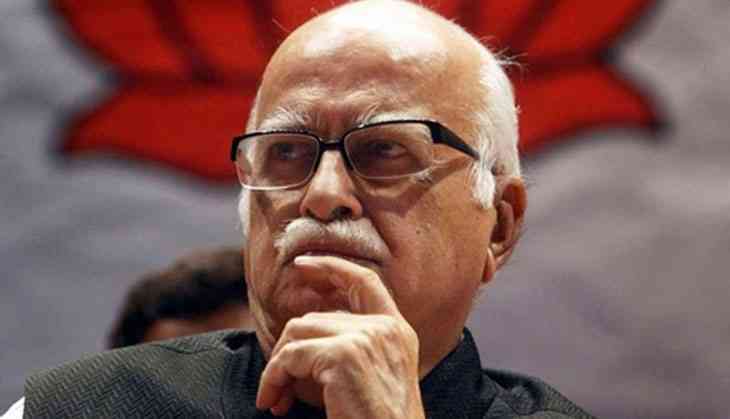 The criminal cases against Advani had been quashed by the Allahabad High Court. The day-long hearing at the Supreme Court on 6 April, witnessed a variety of complex arguments, especially from Advani's side which said that if the criminal conspiracy and other criminal charges against him were to reopen, it would involve “lakhs of unknown kar sevaks”. Further, hundreds of witnesses will have to be recalled. In fact there are two criminal cases, Criminal Case No. 197 of 1992 and 198 of 1992. In the first case “lakhs of Unnamed Karsevaks” are arrayed as the accused. In the second one, the accused are LK Advani, Murli Manohar Joshi, Uma Bharti, Sadhvi Ritambara, Vinay Katiyar, Vishnu Hari Dalmiya and Acharya Giriraj Kishore. While first the criminal case was sent for trial at Lucknow, the second one was tried at a trial court in Rae Bareli. On an appeal, the Allahabad High Court quashed the charge against Advani. However the Central Bureau of Investigation (CBI) wanted the cases to be clubbed and tried together. Although the verdict was reserved today on an appeal by the CBI, the Apex Bench of Justices PC Ghose and Rohinton Nariman made it clear that it would order for a joint trial of both the cases and a time limit of two years would be fixed for completion of the trial. As the political circles are agog with the rumour that Advani may be fielded as the BJP candidate for the upcoming presidential election to be held in July, this may come as a major impediment. But legally, the trial may suffer many hurdles as first the “lakhs of unknown karsevaks” have to be brought to justice. Now that 25 years have gone by, it isn't clear whether any one of the “lakhs of unknown karsevaks” have been named. In fact, senior counsel KK Venugopal appearing for Advani, even questioned SC using its extraordinary powers to re-open the trial against his client. Countering this, another senior counsel and former union minister Kapil Sibal, contended that the trial need not begin afresh. He was appearing for Haji Mehboob, a petitioner in the case. Haji Mehboob too sought a joint trial, including a trial against Advani, and filed an affidavit to this effect. But Additional Solicitor General (ASG) Neeraj Kaul submitted that the trial has to begin afresh and there might be practical difficulties. Though this will trigger another debate, it is clear that the case has taken a new turn as far as Advani is concerned. He may now have to face charges despite his acquittal. The Apex Court has also told the CBI that it would allow the agency to file an additional chargesheet. If it does that, some more accused can be named and additional charges can be framed. In 19 July, 1885 one Mahant Raghubar Das filed a title suit claiming that land of under the raised platform in front of the Babri Mosque belonged to the “Ram Chabootra”. In this many parties, including Muslim and Hindu organisations, entered the fray with counter suits claiming the title to the land. However in 1992 the Babri Masjid was demolished after Advani’s Rath Yatra culminated at the site. Then the central government led by PV Narasimha Rao took over the site and termed it as disputed property. In 2010, the Allahabad High Court came to the conclusion based on archaeological evidence that there were some ‘Hindu structures’ at the site and apportioned the land in three equal portions to three contending parties. This is regarding the civil suit. Now it is back to square one with the criminal trial beginning once again. TWEET THIS SC transfers Babri Masjid criminal case to Lucknow. What does this mean for LK Advani and others Can re-opening of the Babri Masjid criminal case harm LK Advani's presidential prospects?